Home Equestrian Life Why Are You Not Trail Riding Right Now? Seriously. 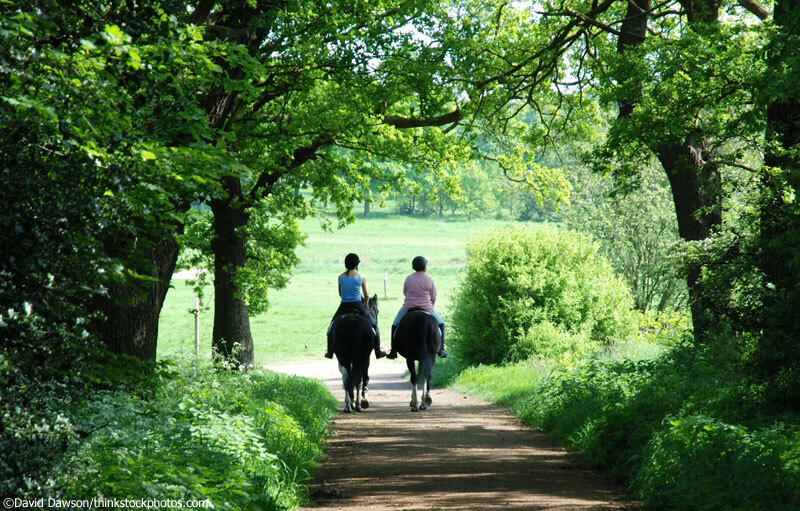 Why are you not outside, enjoying a spring day in the forest or fields with your favorite horse right now? Yeah, yeah, I know. You’ve got work to do. Family obligations. You’re sitting in class reading this on your phone and you don’t get out for another three hours. These are not good enough excuses. 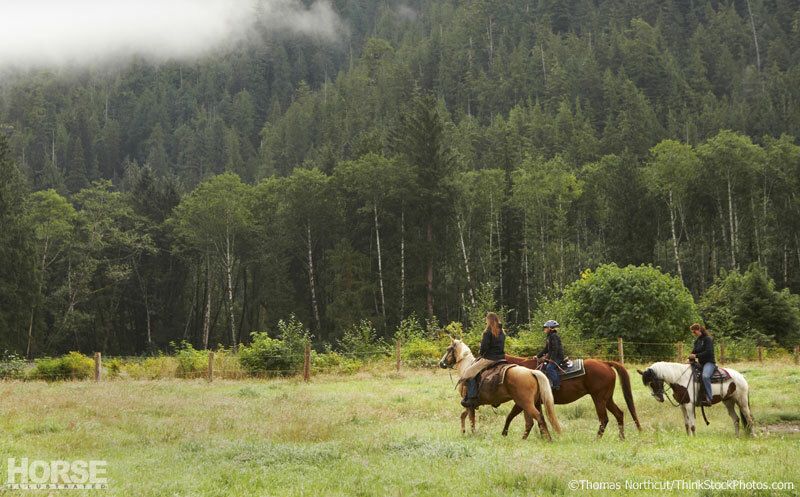 Your health and well-being depend on you going on a trail ride. And what’s more important than your health? You know that feeling you get when you return home from a relaxed trail ride? It’s a sort of calm, happy feeling. Contentedness might be the best word for it. Spending low-pressure time with your horse can do that, of course, as can working through training or athletic challenges. But it turns out that if you spend your horse time out amongst the trees rather than in the arena or the barn, there are some added benefits. An article published in Outside Magazine in 2012 highlights some of the research being done in Japan that shows the benefit of simply spending time in nature. Previous studies have provided evidence that being outdoors in green spaces can boost your mood, lower your blood pressure and even improve your mental functions. These benefits are derived best if you are truly experiencing nature, not just outdoors grinding through a workout, earbuds firmly in place distracted by the stress of the day. No, instead I think the way to maximize the wilderness prescription is by communing with your horse, listening to his rhythmic footfalls, feeling the cool spring breeze under the dappled light that shines through the newly budding trees. You feel better just thinking about it, don’t you? I know what some of you are thinking. Yeah, being out in green spaces is great, but your farm is still covered in snow, and the trees won’t sprout leaves for another month. It turns out it doesn’t matter. One nature study took participants out on a cold, windy winter day in Ontario. They didn’t have fun, but they still had improved mental functions afterwards. This means that even a trail ride through crusty late-winter snow and bare trees is better than staying indoors and staring at a computer screen. Need more convincing? When sunlight hits your skin, it triggers a process that leads to the creation of vitamin D, which helps your immune system. Of course, you don’t want to overdo it without sunblock, but some exposure to this early season sunlight could be a boon to your health. Who couldn’t use a little more exercise? 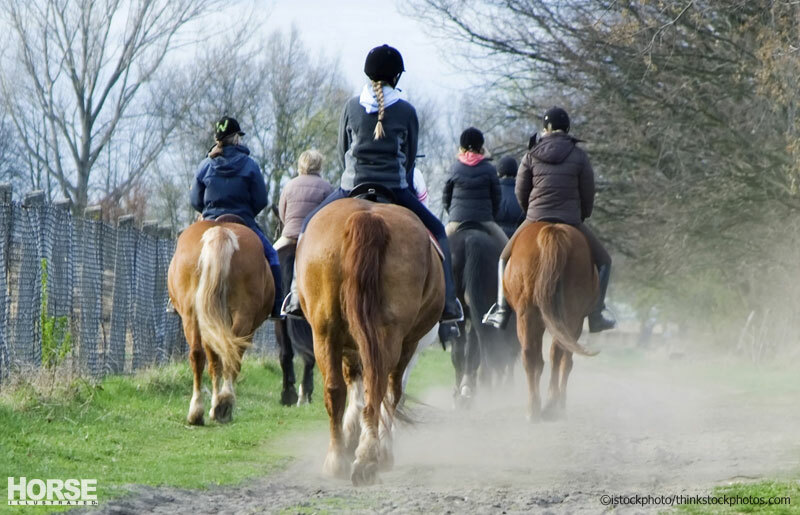 Don’t take this the wrong way, but statistically speaking, whoever you are, you and your horse could probably stand to get a little more exercise. 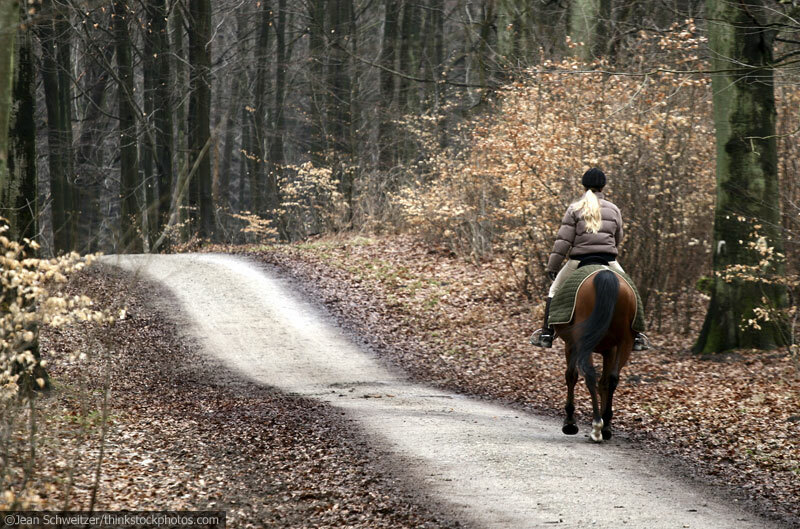 A nice trail ride, even if it’s not terribly long or intense, is good for both of you. And that extreme currying you’re no doubt having to do in the season of mud and shedding is good for working your muscles a bit, too. All the research in the world is only backing up what trail riders already know. Hitting the trails is good for you. It improves your life. It improves your horse’s life. So what are you waiting for? Tell your boss you have to take off early today for medical reasons. Tell your spouse to watch the kids this evening. If you’re in class right now, stop reading this and pay attention to your teacher. But as soon as class is over, go ride. You’ll be glad you did. Previous articleCould joint supplements help senior horses? If the trails were as scenic and well-manicured as the ones in these photos, I would do nothing BUT trail ride. I think the REAL reason more of us don’t enjoy this discipline is lack of access. Speaking for myself, the only ones within hacking distance of my barn are buggy and choked with weeds, and the nearby roads are unsafe.